Portugal was the first country in the world to adopt the SAF-T file as a tool to improve efficiency and control and prevent fraud and tax evasion. Due to an increasing number of businesses, using electronic systems to deal with daily operations such as invoicing, and to the subsequent increase in the number of software solutions available in the market, the Portuguese government issued, in 2007, a law that instated the use of SAF-T files to provide all relevant accounting information to fiscal agents, during inspections. Software manufacturers were required to include in their systems a feature that would allow, for a given fiscal year, the generation of these standardized files, following OECD guidelines, to facilitate data verification and treatment and eliminate the need for auditors to know in detail how each software operated. The success of this measure coupled with the understanding that the data provided by the SAF-T files could be tampered with and promote new situations of tax evasion led, in 2009, to the issuance of a new law that required existing software manufacturers to certify, under the supervision of the Tax Authority, each of their accounting / invoicing solutions. New rules were implemented to ensure data inviolability and only previously certified systems were authorized to be used by taxable persons. The new law was introduced gradually, being, at first, only applicable to taxable persons with sales above € 150.000 or more than 1.000 issued invoices per year. It was later extended, under new laws, to other taxable persons with commercial activity. In 2012, the Portuguese government introduced significant changes to the SAF-T file. Until then, the file had only been used to summarize information regarding invoices issued during a given fiscal year. With the approval of a new law, the concept was extended to accommodate information regarding other documents with fiscal relevancy, including sales slips, way bills and invoices printed in typographies. The fight against fraud and tax evasion was intensified, focusing not only on the end sale but also on the movement of goods, across the entire distribution channel. Later the same year, new laws were approved and economic agents were required, instead of generating SAF-T files only when requested during inspections, to send them electronically, on a monthly basis, to the Tax Authority. 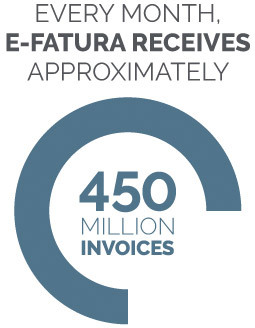 It was on this premise that e-Fatura was developed. 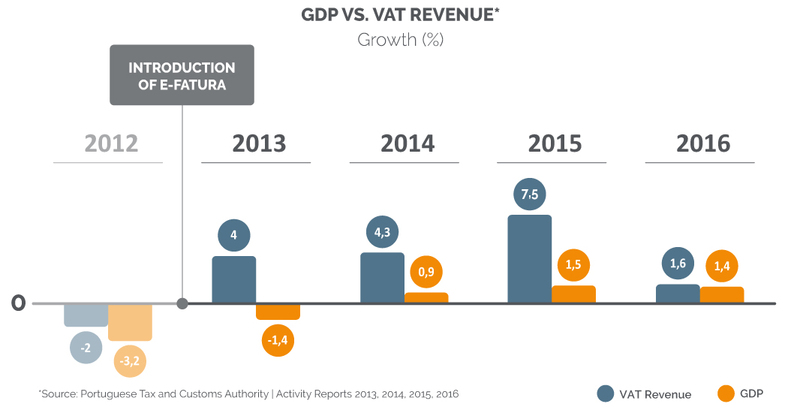 E-Fatura is a portal that serves as the central point of communication between economic agents and the Tax Authority, regarding the SAF-T files. Economic agents can securely submit their information through the portal, giving the Tax Authority the means to increase process efficiency by using the collected data to prefill other tax forms and obligations and confront it against data available in other systems. This allows it to identify and take necessary action in situations of fraud and tax evasion. Consumers were also involved in this process, accessing the portal to check invoices issued with their VAT number and introduce information that has not yet been submitted to the Tax Authority by the economic agents.